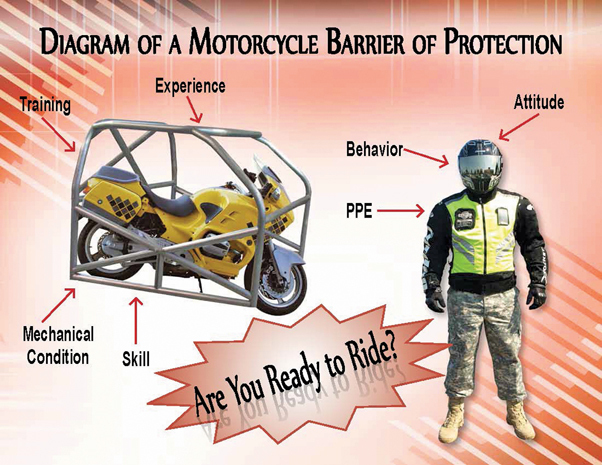 The Barrier of Protection poster is a 2012 Summer Campaign tool for Air Force personnel as a reminder of the perceived and real barrier of protection for motorcycle riders. 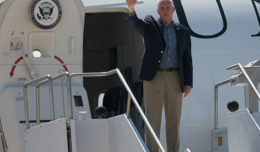 JOINT BASE LANGLEY-EUSTIS,Va. 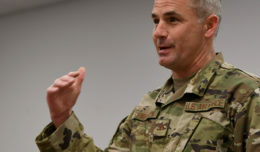 — Air Combat Command has suffered six motorcycle fatalities this fiscal year, which is well past the one motorcycle fatality in fiscal year 2014. This spike in fatalities is alarming because summer, which is when motorcycle traffic surges, has not begun yet. One of the motorcycle fatalities was a qualified motorcycle instructor who was leading a mentor group ride when he failed to negotiate a curve, and struck a sign. The instructor died of a fractured vertebra and blunt trauma. 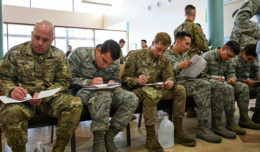 Motorcycle safety is a topic leadership discuss every year because approximately 10 percent of Airmen ride motorcycles. In 2014, the Air Force had 235 motorcycle accidents fatally injuring 13 Airmen, according to the Air Force Automation System. A motorcyclist is 26 times more likely than passenger car occupants to die in a traffic crash, according to the National Highway Traffic Safety Administration. Although speed and alcohol consumption are large contributing factors to motorcycle accidents, the Department of Motor Vehicles found that two-thirds of fatal motorcycle crashes involve a motorcycle and another vehicle. Motorists either do not see the oncoming motorcycle or the motorist doesn’t see the motorcycle in time to avoid a crash. At the same time, motorcyclists have to be aware that even if a driver does a double take, they still may be hard to see. While there will always be hazards associated with driving motorcycles, training, experience and safe-riding practices can lower the possibility of an accident. – Gear–Motorcycle condition, drinking water, personal protective equipment, etc. – Skills–Are you experienced enough? Are you rested enough? “Drivers can all share the road and do it safely if traffic laws are followed and everyone is mindful of each other,” said Mitchell.